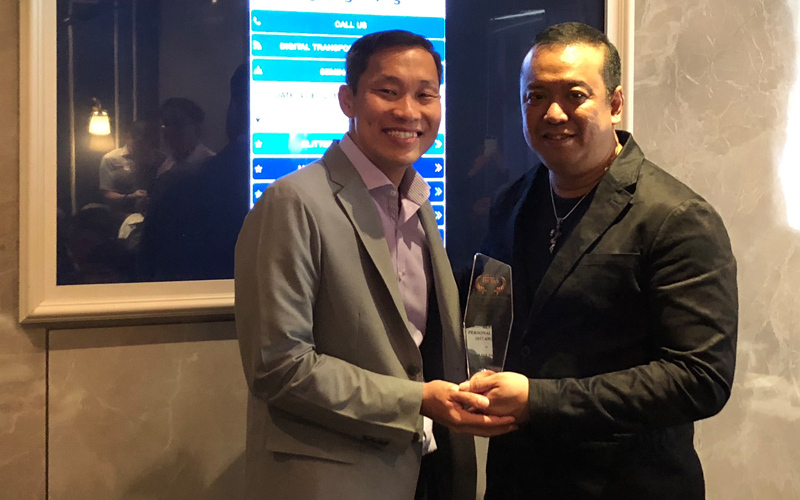 Last week, I had the honour of being presented a belated Best Personal Brand Award (BPBA) from the President of Marketing Institute of Singapore, Mr Roger Wang. 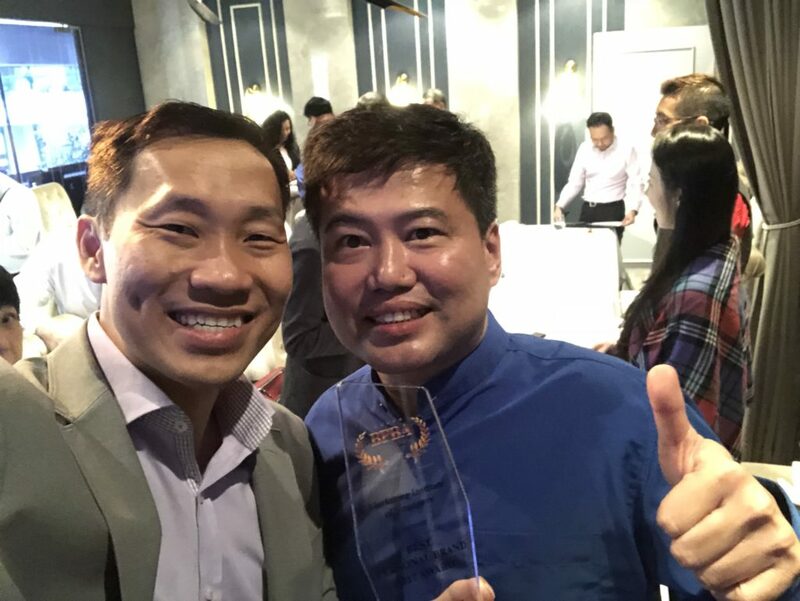 The inaugural BPBA is a form of recognition given by the Marketing Institute of Singapore, a not-for-profit organisation founded in 1973, to individuals who had made a positive difference in their professional life by utilising their personal assets, strengths, skills and positioning. The individuals have distinguished themselves from their business peers by curating their own personal image and identity. 2018 marks my 15th year with Candid Creation Publishingwhich is an apt time for reflecting on my personal branding journey. While we may have clinched awards as a company in the past, this is the first time I am receiving an individual award for my publishing work. This award is especially meaningful to me because of the three simple words “Best Publishing Partner” engraved on the plaque which epitomises my personal brand essence. Personal branding is the process of clarifying and clearly communicating the unique promise of value that you have to offer to your audience. It starts from the point you decide on the unique way you can add value to others and take an active role in expressing it. Many people ignore the importance of personal branding at their own peril. The reality is that everyone is a brand, whether you like it or not. If you do not work on your personal branding, other people will do it for you, and it may not turn out the way you like it. From the time I stepped into this industry, I have decided to differentiate myself from other publishers. I wanted to be a publishing partner to authors rather than the traditional publisher who sits in the ivory tower while waiting to be courted by authors. As a publishing partner, I like to treat my authors as equals and my main focus is to work closely with them to draw out their essence, curate and co-create the best work to bring to market rather than pass judgement on their works. As a publishing partner, I also take a long term view of my relationship with authors and I see their success as my success. Once I have gained clarity on my value proposition, it provides a direction to my personal branding journey and helps to govern every aspect of my approach to market and my interactions with others. Most people mistook that personal branding and personal marketing refers to the same thing and spend most of their time finding ways to promote themselves in a self-serving way. The truth is, while personal marketing is important, personal branding has to be built on a strong foundation of substance first. The true substance of your personal brand has to be anchored on your unique promise of value. The process starts from personal reflection where you uncover who you are deep inside, your value system, your beliefs, and how you can leverage your strengths to deliver a unique value to your audience. Without a strong foundation, it will be impossible for your personal brand to withstand the test of time. While my work is often behind the scenes and seldom in the limelight, I derive my greatest satisfaction simply from seeing my published authors in the limelight and growing to be giants in their niche areas. I focus my efforts in helping them to be more successful by curating their works to meet the highest professional standard, creating exposure for them through the media, arranging talks and workshops for them, building platforms for them to collaborate, marketing their books overseas, etc. By consistently delivering real value to my authors in different ways, it helps to strengthen my foundation as a publishing partner. But do not be mistaken that I am saying personal marketing is not important. At the end of the day, no matter how good you are, personal marketing will be the next important step to communicate your brand value to reach out to your target audience. Personal Branding is a lifelong journey and not a light switch that you can turn on and off anytime. It takes time and effort to walk the journey of building a sustainable personal brand. If you ever come across any personal branding “guru” who promises you instant branding success, be sure to run away as soon as you can. Since personal branding is a long journey, you should build an authentic brand instead of putting up a facade if you wish to enjoy the process. It is imperative that you are able to live your brand 24 by 7 and be consistent in the way you express yourself regardless of who you are interacting with. Putting in a consistent effort to communicate your brand is pivotal to your success as I am sure you have heard of the phrase, “out of sight, out of mind”. For me, personal branding has been a work-in-progress for the past 15 years. Although my unique promise of value to the market has not changed, I am constantly sharpening the saw to “upgrade” the substance and also adapting the form to keep up with times. By investing in my own learning, I seek to be better equipped to offer greater value to aspiring authors. For example, by learning coaching and facilitation skills, I am able to inspire more authors through my 2-day authorship workshop “So You Want To Be An Author“. I also like to find ways to gain better insights into my own behaviours and preferences that influence my daily encounters with others too. Through the help of personality profiling instruments like the WorkPlace Big Five Profile, I am able to better understand my natural traits and relate to others with ease. If you believe that personal branding is all about your own efforts, then you have not been leveraging your network. It takes a team to build a brand. I like what I learnt from reading the book Personal Branding 247written by social media and public relations strategist, Andrew Chow. He advocates having at least 10 other people in your network to ensure you are constantly sharpening your saw, scanning the horizon, and adding value to others. 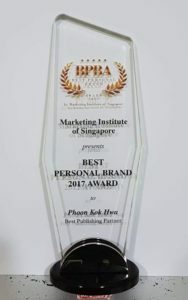 To conclude, beyond just a recognition, the Best Personal Brand award has given me an even stronger impetus to strengthen my personal brand and to push on with my mission to partner more authors to bring out and multiply their message to the world.